The 1" Diameter Ball with Custom GoPro Hero Adapter from RAM MOUNTS attaches directly to a GoPro housing or frame, allowing you to mount your camera on any RAM double socket arm or mounting accessory that accepts a 1" diameter rubber ball. 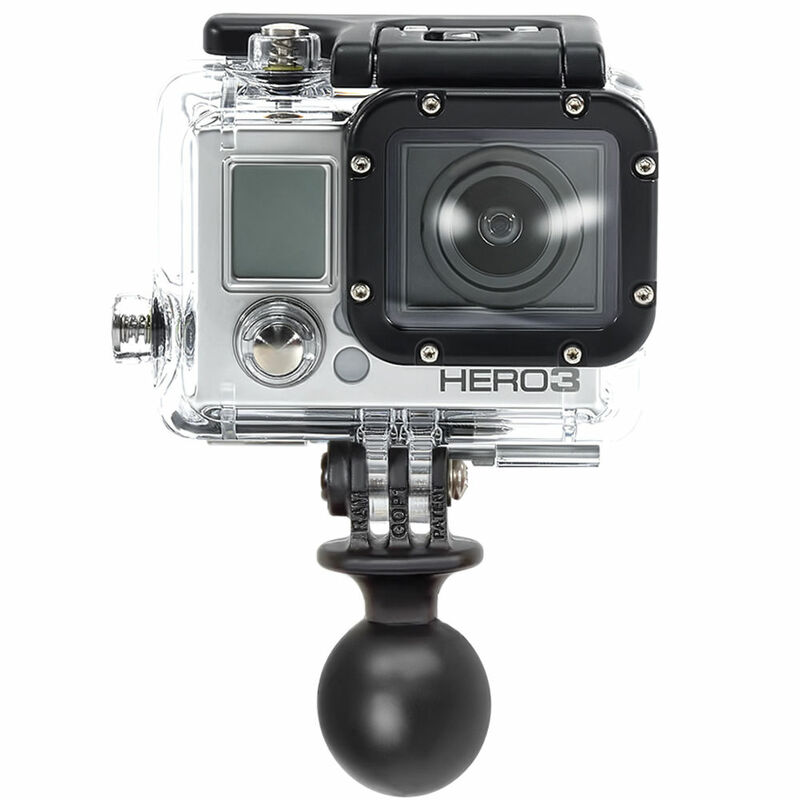 Box Dimensions (LxWxH) 3.0 x 2.5 x 1.0"
1" Diameter Ball with Custom GoPro Hero Adapter is rated 5.0 out of 5 by 5. Rated 5 out of 5 by New Drone Videographer from Now GoPro mounts where my other cameras do. Use Ram mounts on motorcycle handlebars and on a sidecar. Up until now only used Nikon Coolpix for stills and a dedicated Canon video camera. Got a GoPro 4 Black for a drone so now it can be attached to all the locations the other cameras did including a tripod. Rated 5 out of 5 by Sailor9908 from Another great Ram Mount product. I bought this as a spare for my extra camera so I didn't have to keep swapping them out. Quality and durability are amazing. I use this on my SJCAM 4000+wifi and it fits perfectly. Rated 5 out of 5 by David from Excellent Product! Excellent Product, I practice x sports it works perfectly. Rated 5 out of 5 by OldDave from useful mount This mounts the go pro to a wide variety of ram mounts.